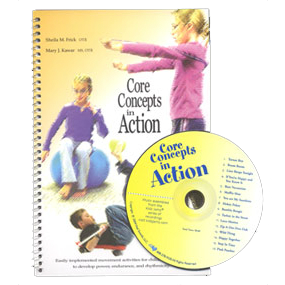 Core Concepts in Action by Sheila M. Frick, OTR and Mary J. Kawar, MS, OTR presents a variety of inviting, affordable, easily implemented movement activities for children of all ages with diverse needs. The companion CD contains carefully chosen musical selections that match the rhythm of the activities and encourage sustained effort and concentration over time. Photographs and concise instructions allow complex strategies to be readily understood and utilized. Emphasis is placed on activating the deep core muscles that lie closest to the bone. 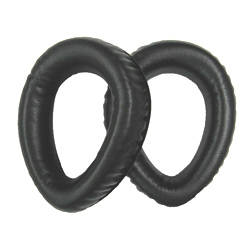 When these deep muscles are engaged, postural control and breath support become effortless, and surface muscles are free to perform more complex tasks in line with their natural design. Activities were selected based on sound therapeutic principles, in-depth clinical reasoning, and for their ability to inspire willing, playful participation with minimal equipment. 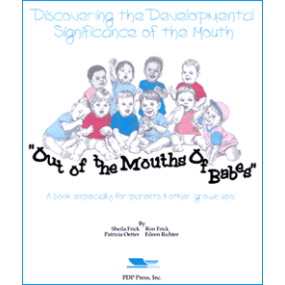 These activities can be implemented by teachers, parents, and paraprofessionals working under the supervision of a trained therapist.